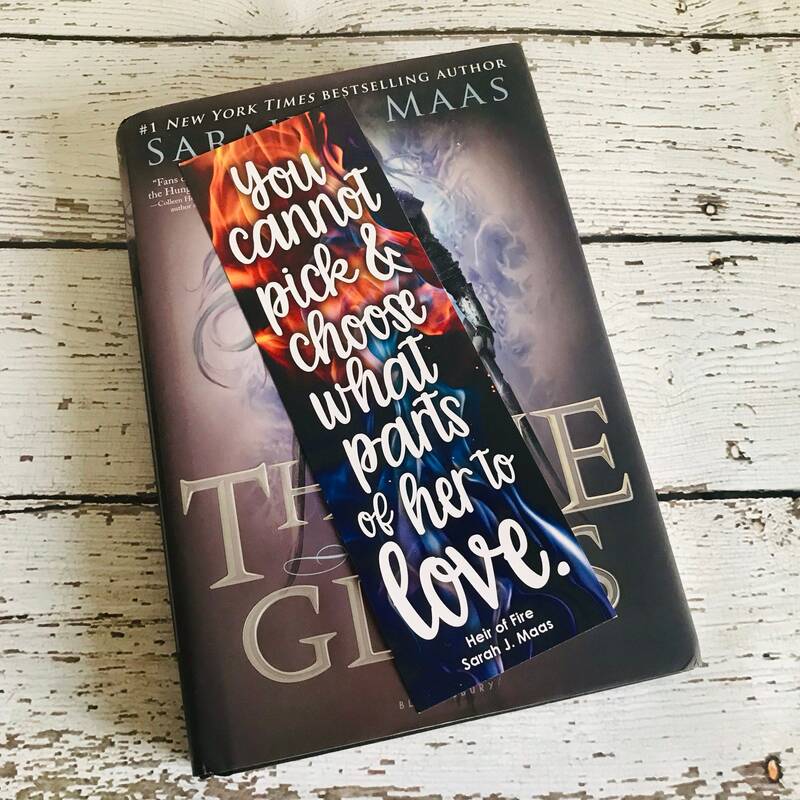 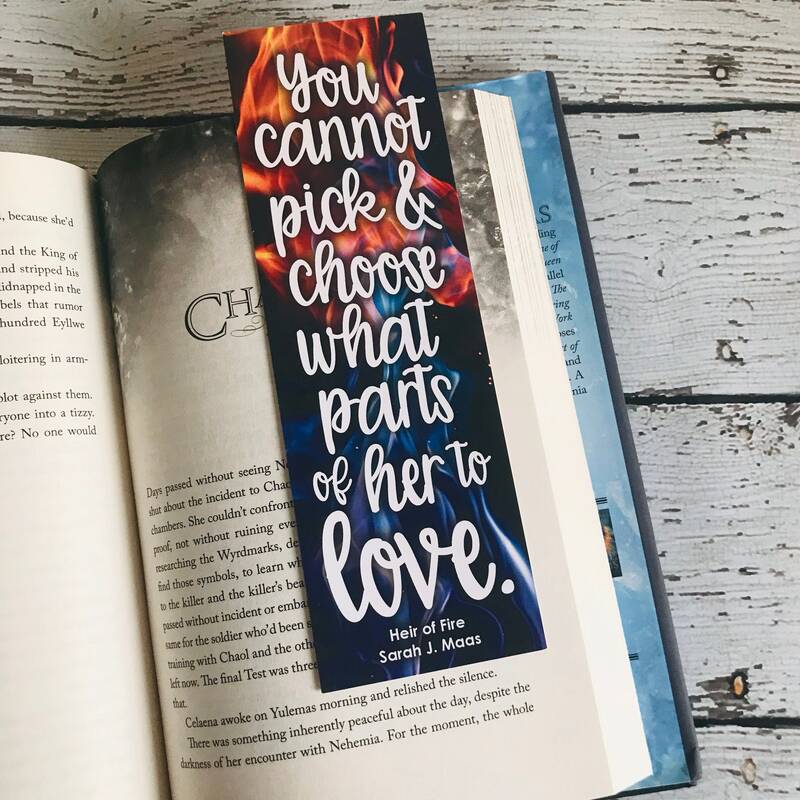 Heir of Fire "You cannot pick and choose what parts of her to love." 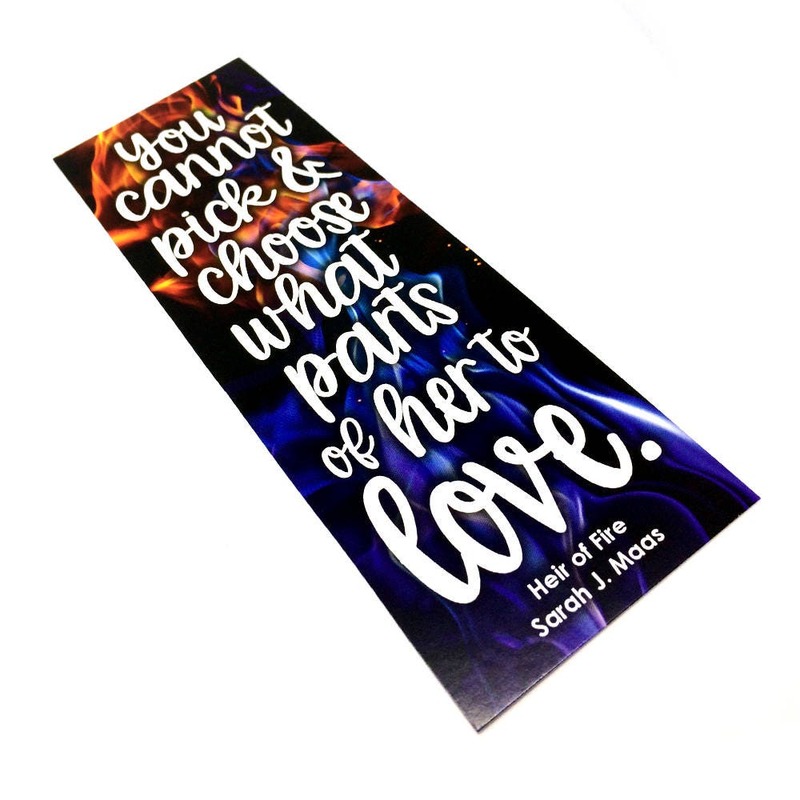 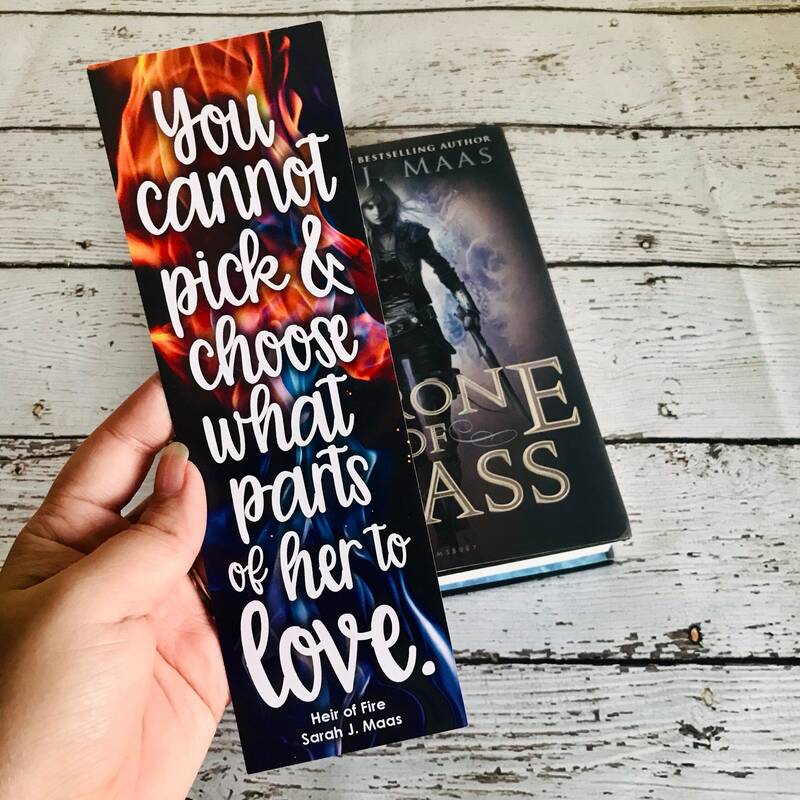 Dorian and Chaol quote bookmark. 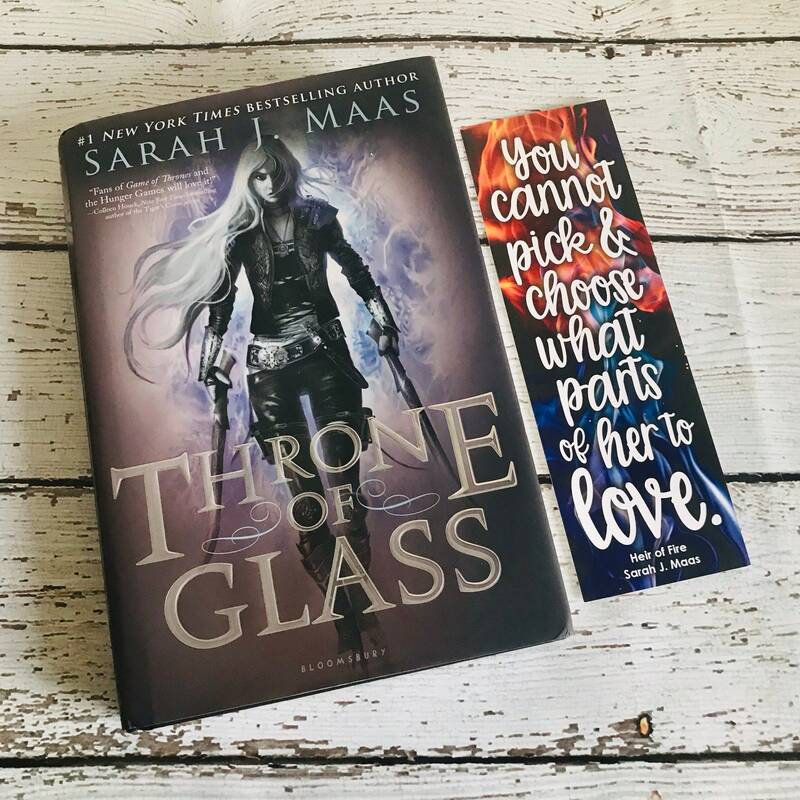 Inspired by Sarah J Maas's beloved Throne of Glass book series. 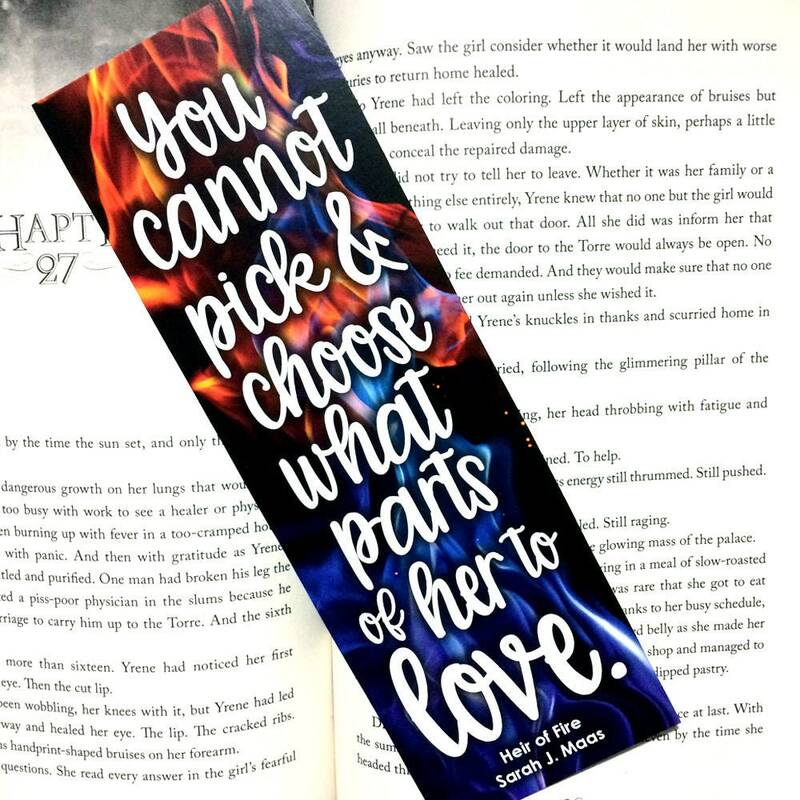 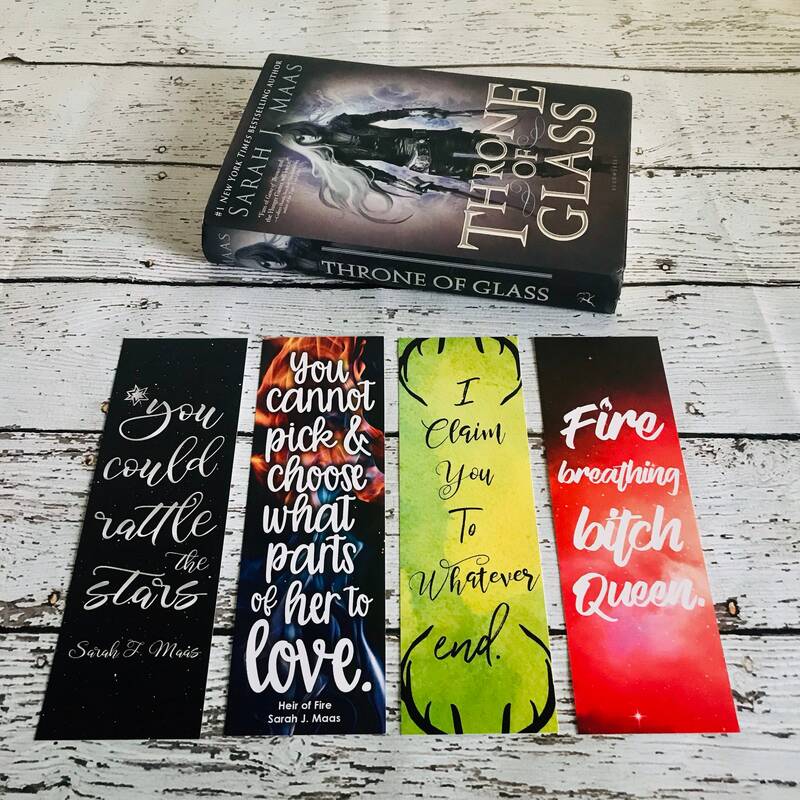 Each bookmark is 2.75" W x 8.5" H. Printed on 100lb card stock matte premium paper (sturdy stock but they are PAPER), they are NOT laminated, printed on one side only. 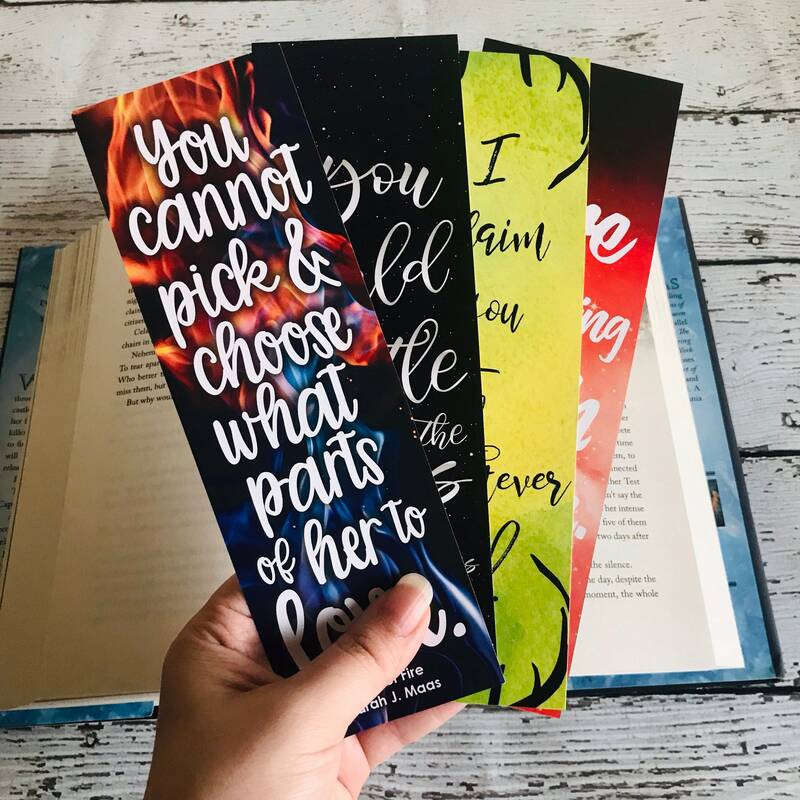 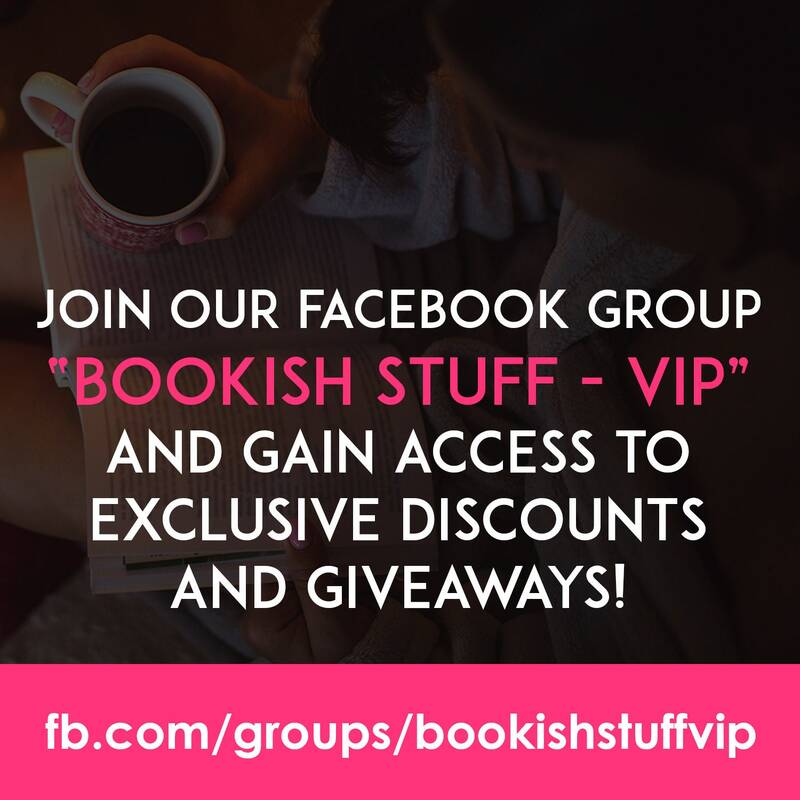 Great design but it's too big to be used in most books.